Welcome to my tzedakah (charitable giving) project! I went to Israel last year and met some very special people at Kibbutz Lotan. Now, as a gift to honor them for my Bat Mitzvah, I'm going to help them raise $35,000 so they can build one out of ten amazing dream EcoCampus housing units. Kibbutz Lotan is a very ecologically-friendly kibbutz located in the Arava Valley of Israel's Negev desert. It is located midway between Eilat and the Dead Sea. It is one of only two Reform kibbutzim in Israel and they started recycling for the whole country. 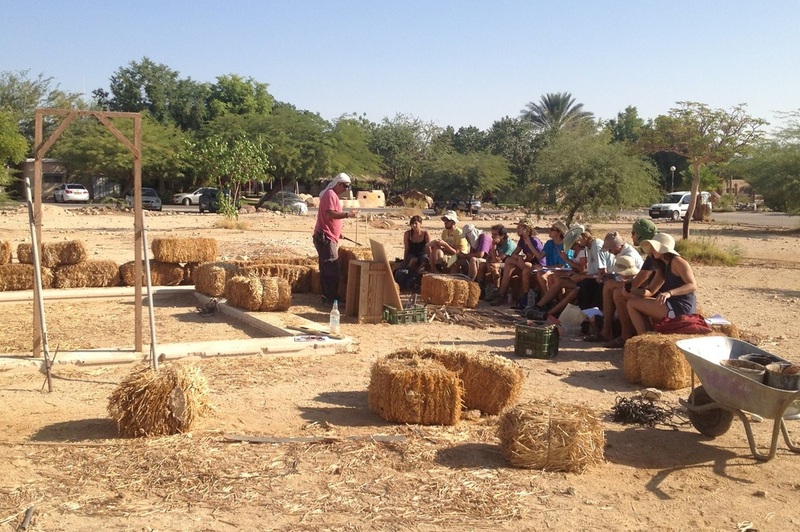 A major part of Kibbutz Lotan is its EcoCampus where carbon neutral buildings are made from mud and straw bales. The EcoCampus also includes a creative recycling center, a migratory bird reserve, organic gardens and composting toilets. The Kibbutz Lotan community lives in a sustainable way while educating others how to do the same. People from all over the world come to study, visit or even work as an apprentice in their Green Apprenticeship Program. When I went there and saw all of the things they did to reduce, reuse and recycle, I was amazed! I would love it if you could help by donating to my project.